The superb Bavarian Radio Symphony Orchestra (BRSO) has had an annual residency at Lucerne’s Easter Festival since 2004. 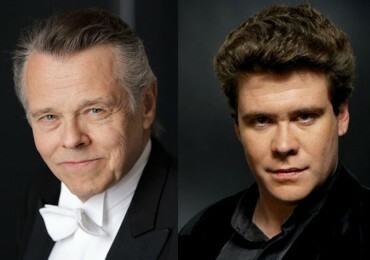 Two years prior to that, Mariss Jansons had taken over the reins from Lorin Maazel as Chief Conductor, and he stands as a true measure of the festival’s standard of excellence, the venue being the stunning Jean Nouvel-designed hall on the shores of Lake Lucerne. After the interval, the brilliant Russian pianist Denis Matsuev took centre stage. The 1998 winner of the Tchaikovsky Competition, Matsuev has since performed with the world’s leading orchestras. Since he has consistently had accolades for his performances of Rachmaninov, we greatly anticipated this Rhapsody on a Theme of Paganini, which the Russian composed in 1934 in his home-in-exile in Weggis, a town just across the lake from our hall. Much like a concerto, Rhapsody sets the piano against a full orchestra, who together twist, mine and explore all the angles and profiles of a simple, single melody. Matsuev leaned over the very first variation as if over a simple domestic task, but quickly built up to the ferocious tempi that have challenged even the most accomplished of pianists. The 24 variations cover a range of moods from the mystic to bombastic, from the militaristic to lyrical, forever shifting rhythmically between the tonic to dominant key giving the music both poignant effect and a face fit for the greatest of Hollywood films. The unadulterated sweetness of the familiar Variation 18, for example, is so romantic as to be heart-wrenching. Rachmaninov himself, anticipating its commercial success, is said to have quipped, “this one is for my agent”. But over and beyond the Paganini theme, the chant melody drawn from the liturgy of the Requiem mass, Dies Irae, is also called up repeatedly, giving greater ground and degree of earnestness to the many variations on Paganini’s theme. From my seat, I couldn’t see the pianist’s hands except for over the highest keys. But I could read something of the music in Matsuev’s animated facial expressions. His jaw and forehead quivered, his head shook and shimmied. He seduced those ivories, growled at them, celebrated, toyed and queried them in what seemed a tangible dialogue. His thunderous speed and expression verged on the amazing; one had to remember to breathe. Importantly, the pianist’s calibration with the BRSO players was spot-on. None were even a millisecond short of when they should be, the explosive ending bursting across the stage like a lightning bolt. From his last chord, Matsuev shot up from the bench in one great sweep. Having grinned broadly at his ecstatic audience, he turned next to the players to applaud them at length, too. You just had to love it.